Z is quite a fun letter for Alphabakes. It’s not as difficult as it first looks and you can be really creative with zebra and even zombies coming into the mix last time. If you take Z to stand for zest, you can make any recipe using lemon, orange, lime – you get the idea. 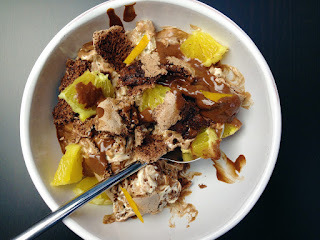 Our first entry this month was this novel take on Eton mess with chocolate and orange, from Dom at Belleau Kitchen. As well as orange zest it uses marmalade and Dom says the sharpness of those flavours cuts beautifully through the sweet chocolate meringue and chocolate cream. It definitely looks good enough to eat! Ages and ages ago I made a zebra cake but hadn’t gotten around to blogging it. It was actually from a packet cake mix (for shame!) which I wanted to try as it was from America and the Duff Goldman brand (him off Ace of Cakes). The cake was tooth-achingly sweet but this is a useful blog post to explain the technique behind how to make a zebra cake. Plus, it looks cool! My mum Jacqueline made her first ever zebra cake as well, using more of a swirling technique; it results in the same effect and her colours - chocolate and vanilla - are rather more realistic than mine! Fiona at Peanut Butter and Spice has sent us this Coconut and Lime Crème Brulee which she has been able to make even though she is lactose-intolerant. This is a lovely summery combination o flavours. Z can stand for zucchini which of course is the American name for courgette (I wonder why it is so different, when we call most things by the same name?). Elizabeth at the Law Students Cookbook made baked zucchini with parsley and oregano, which she said was really easy and tasty. You could have this as a main course or a side dish so it seems very versatile. More zucchini now, this time with cherry tomato in a quiche from Shaheen at Allotment 2 Kitchen. 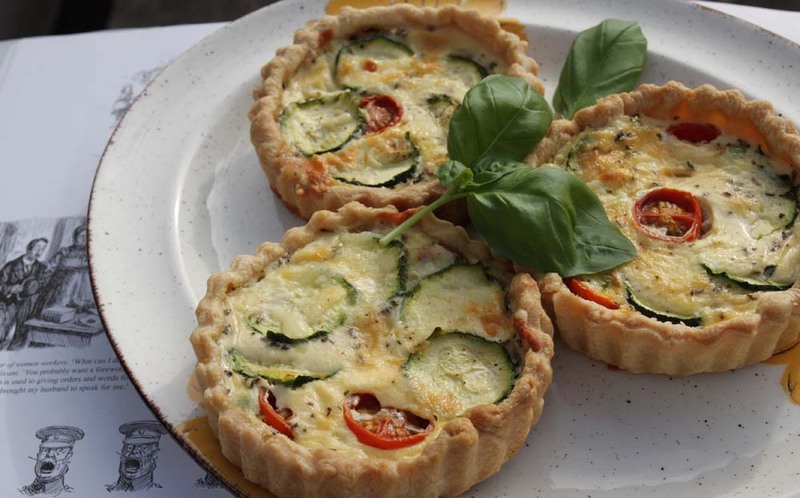 She has grown her own courgettes and these cute little mini quiches would be perfect for a picnic. Making another appearance but this time in a sweet dessert, we have chocolate courgette (zucchini) loaf with nutella and cranberries. Ros at The More Than Occasional Baker is my co-host for Alphabakes and great at coming up with new recipes and flavour combinations so I'm sure this cake tastes good! She warns that you do need to squeeze the water out of the courgette though. I ought to know what Zwetschgendarschi is as I used to live in Germany, but Suelle from Mainly Baking had me stumped! To put it more simply, this is a plum tart. It has a layer of marzipan on top of the dough which sounds good and the yeast dough Suelle used contains less fat than regular pastry. Ros from The More Than Occasional Baker has got some more courgette to use up, so made these brie, courgette and red pepper muffins. She says these vegetarian ones tasted even better than a version she made with bacon! I got a spiralizer for my birthday and it's really fun to use - I finally plucked up the courage to try making courgetti or zucchini noodles from a recipe by Deliciously Ella. The sauce is also home made from red pepper and tomato and it tasted much better than I was expecting given I don't actually like courgettes! Now back to something that doesn't use courgettes - we have lemon zest as the Z ingredient here, in this lemon tiramisu from Jean at Baking in Franglais. It's a refreshing take on an old favourite and would make a lovely dessert for a barbecue. Laura from I'd Much Rather Bake Than made this chocolate chip yogurt courgette bundt cake and managed to convince her brother and his children that the green flecks were sprinkles! The grated courgette (sorry, I mean sprinkles) make the cake really moist and I would think the chocolate would hide the flavour! The last time we had this letter for Alphabakes I came across za'atar, a Middle Eastern spice blend, and was wondering if someone would use it this time. 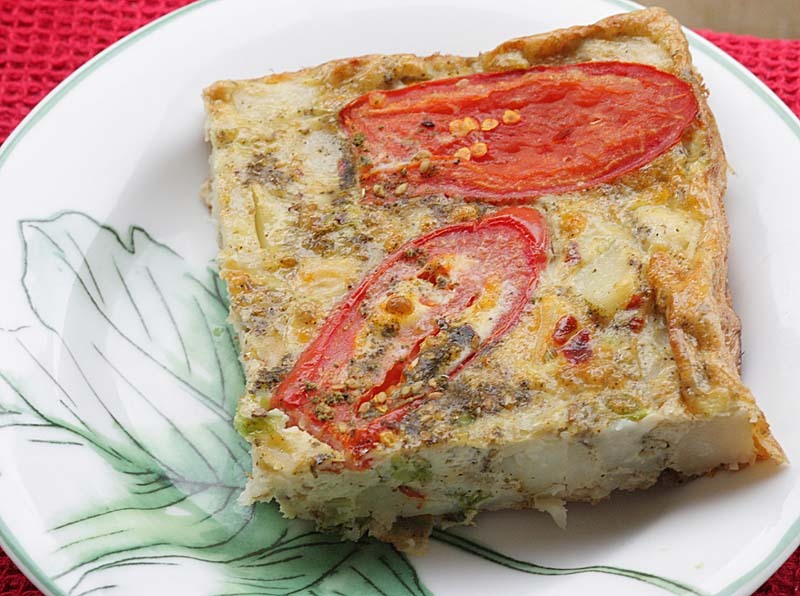 Shaheen from Allotment 2 Kitchen has done so, in this oven-baked za'atar tomato and potato frittata. She said it's good for picnics, barbecues and buffets. 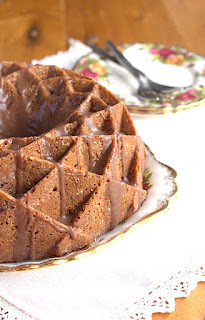 Finally another entry from my Alphabakes co-host Ros of the More Than Occasional Baker. She made these zucchini and orange marmalade muffins with cranberry and pecan which she enjoyed for breakfast. oooh, i love that purple zebra cake, what a great idea... a lovely collection of zzzz's!